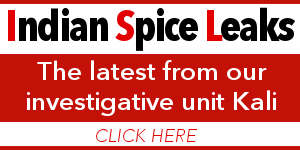 #DURBAN: Pastor Sam McWayne of the Harmony Centre which is described as a division of United Pentecostal Church Of South Africa has sparked rage from the Hindu community on social media. McWayne took to Facebook on October 10 to share his joy at the conversion of a Hindu family to Christianity. “Tonight we had the greatest of pleasure to pray with a family that gave their heart to the Lord. They packed boxes of “stuff” they use to worship and asked us to dispose of it. We dedicated the Home in Jesus Name. 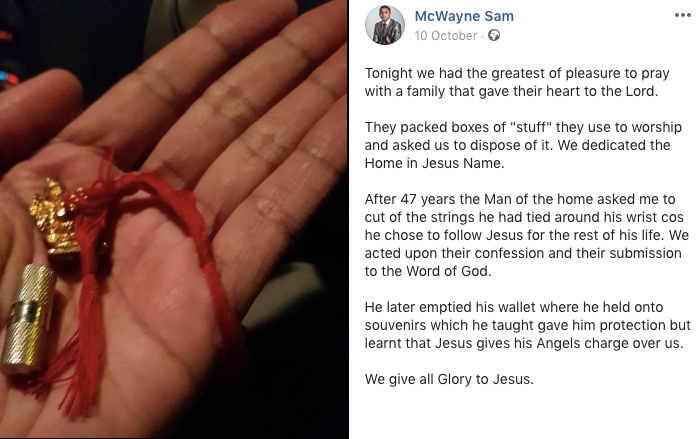 After 47 years the Man of the home asked me to cut of the strings he had tied around his wrist cos he chose to follow Jesus for the rest of his life. We acted upon their confession and their submission to the Word of God. Social media users were of the view that any form of conversion is acceptable however for McWayne to relish the joy by sharing a post on social media was inciting hate-speech against both sides of the religious divide. 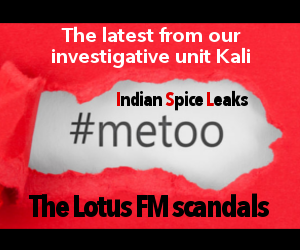 The post that stirred the controversy. 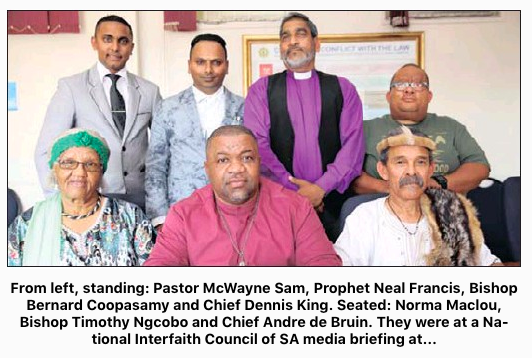 Mcwayne is also a member of the National Interfaith Council of South Africa, which is one of the religious bodies that turned out in solidarity in support of ousted and disgraced former South African president, Jacob Zuma. McWayne and the NICSA organization turned out in support for Zuma when he appeared at Durban High court on corruption charges. McWayne apologizes for his error but did he? 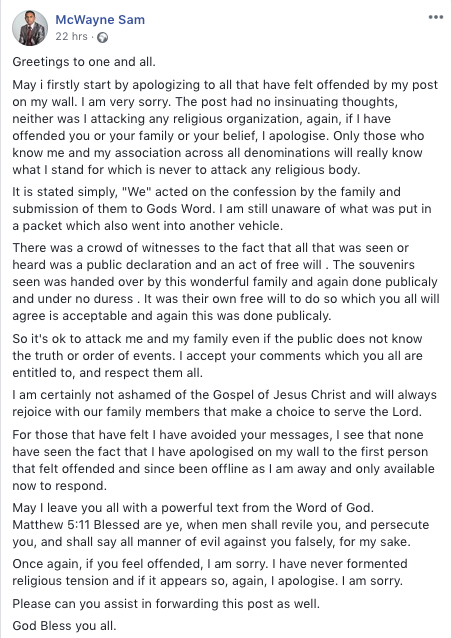 The pastor took to Facebook yesterday, October 14, 18 to clarify his religious stance and denies attacking the Hindu faith with his boastful post on October 10. Hinduism has come under attack since records can tell. This Pastor and many more to shall always aeek fame and glory in the stance and actions to gain recognition. I say if he thinks in this manner clearly he lacks humanitarian values, he has been brought up in a manner that has no humanitarian values he utterances clearly illustrated this. The Greatest leadership in the world respected all human beings irrespective of ethnic background,religion or sexual orientation.This Pastor is blinded by his negative thoughts and thinks stardom awaits him for his beliefs on Hinduism. I say good luck to you. I am waiting to see if you become the next Mr Mandela, Mahatma Ghandi or Dalai Lama. Its a choice people make to convert like wise i have many friends born Christians are now Hindus. Jesus was a Rishi and followed Hinduism. If u not born of a jewish mother u not a jew. If u not an arab u not a moslem. If u r not from Constantinople u not a Christian. YESHUA, was not a Christian, nor was e born on the 25th, the letter j is only 500years old and he wrote or compiled the new testament. Converts r the slave drivers of this money driven materialistic religion. The jews/Catholics & arabs really dont fight their battles, the converts do the dirty job of promoting/fighting their agenda. These so called pastors or sap (self appointed pastor) r conditioned/brainwashed at bible schools, if they do a theology degree/history of of comparative religions or took time to study the ancient history of ancient civilizations, they will have a better understanding why we r here. the world is not 6000 years old/adam was not the first human/ we lived as one with te elements. So I wish to comment on most of the things you’ve said and I shall do so in the same order that you’ve mentioned them for ease of reference. The fact that you’ve already mentioned Jews as a collective is your first error; there are many different types; conservative, orthodox, reform etc etc… There is no such thing as converting to Judaism in the written Torah. That was later added by the early rabbis. A person may live according to their laws but that does not inherently make them a Jew, hence your later comment about Jewish converts is not only self-contradictory but grossly inaccurate. By saying that Arabs are the only Muslims are you suggesting that some of the African Muslims are not true Muslims? If so I’m genuinely shook and I’m sure that they would love to talk to you about that; especially the predominantly Muslim countries. Constantine was, if my memory serves me correctly, the first Roman emperor to declare Rome a Christian nation and convert to Christianity. That does not necessarily give Constantinople any significance to the faith for example as Mecca is to the Islamic faith. Many Christians consider Jerusalem as their holy place due to the various historical references. The name Jesus is the English form of the Greek Iesous which in turn came from the Aramaic Yeshu’a which in turn came from Yehoshu’a… You get the picture… Point I’m trying to make is that you are dwelling on semantics… Language has evolved and as such, so has the way in which we use it. English has become the primary language of the world and it stands to reason that the language of the Bible would have to be translated in order to be understood. Perhaps you would like to research the history of language to see why your point is irrelevant. I guarantee that it will be boring but insightful. If someone is called Johan Smit or John Smith it doesn’t have any impact, provided that they know that they are being spoken to or about, on what they have achieved or who they are. The day on which Christmas is celebrated is also irrelevant. How often is a birthday party celebrated on a weekend and not on the person’s actual birthday? Why is this? Convenience… I rest my case. Any religious leader who is not ordained by God is not necessarily a false prophet but does not bring glory to the Almighty. As for studying ancient civilizations, I had a passion for such and am more than willing to discuss that at length. I think the point you are trying to make is that Hinduism is the earliest recorded central religious concept, but in no way was the oldest religion. Civilizations such as the Gobekli Tepe from Turkey, although not much is known about it due to very little evidence, would have also had religions, faiths and gods. On a historical timeline it is still relatively new knowledge that the world isn’t flat, that the earth revolves around the sun and that the Earth is not at the centre of the universe. If you claim ancient texts regarding religion to be accurate then you too have to acknowledge and accept the Greek gods, Roman gods, Norse gods, Celtic gods, Aztec gods, Egyptian gods and the list goes on. That list totals thousands of gods spanning Millenia. Are they all wrong or just some of them? And if so, which ones and what’s the criteria for judging? As for the age of the earth if you’re considering the prevailing scientific theory regards the earth as approximately 14 billion years old. I don’t wish to delve into the science but the long and short of it is that the origin of the universe as described in the Srimad Bhagavatam, Bible, Torah, Qur’an and other holy books greatly differ from scientific proof and the Big Bang and Singularity theories which have scientific backing. In no way have I stated my religious affiliation in this post. If you wish to know what my view is, feel free to do a quick Google search with my name. The family in question are the only ones to verify the Pastors testimony.. It’s not about religion but about whether this family has found something that has changed their lives for the better. The pastor merely reported what happened.. If this did not happen, the Pastor’s report was untruthful…in which case he must be dealt with…for false reporting..